The 14 Best Holiday Shopping Destinations in Maryland! 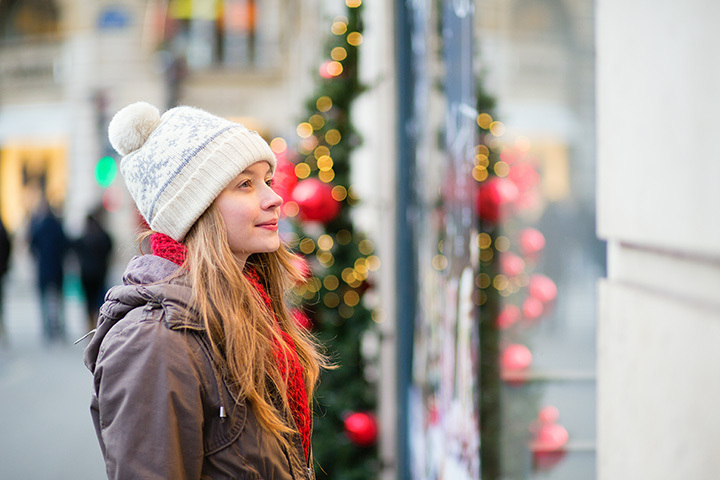 Slip into your comfortable walking shoes, grab everyone’s wish list and get ready for an ideal shopping day in Maryland. These 14 excellent Maryland shopping destinations are some of our favorites. Whether you’re looking for a holiday-inspired treat or the newest gadget on the market, these Maryland shopping spots have exactly what you are looking for. For old European charm, head to Baltimore’s outdoor Christmas Village. Both an indoor and outdoor holiday market, the Christmas Village features vendors with more than 50 booths offering traditional European goods. If you’re looking for top-quality, international gifts, this is your spot. Few places can beat the charm of historic Downtown Annapolis. Formerly the U.S. capital, Annapolis is a city on the water with cobblestone streets, holiday wreaths, garland, bows, and lights gracing classic light posts. It’s like a Norman Rockwell painting. As for gifts, you can find all things Maryland here, purchasing rare comics at Capital Comics, buy something pretty in a local jewelry store or visit Irish Traditions for something from the motherland. Shop in your favorite stores, catch a movie and enjoy outdoor ice skating for a fantastic day. Shopping in Rockville is better than visiting the mall because you have access to all the top stores combined with the charm of holiday ice skating. Why pay full price for Nike or Adidas when you don’t have to? Save money or buy more by shopping at Hagerstown Premium Outlets instead. All your favorite brands are here but with reduced price tags. A popular tourist destination, The Gallery and Harborplace is a unique combination of popular stores like H&M with unique art galleries and one-of-a-kind Maryland shops. Indoors at the Inner Harbor, you can avoid the cold, buy gifts and eat at one of their many popular restaurants. If shopping isn’t your thing, head to Arundel Mills. Everything you need can be found in one location, making Christmas shopping far easier. Plus, there are so many entertainment options that when you are done you can reward yourself and the kids with a night at Medieval Times and more. This is an art mecca so if you like to find unique, handcrafted gifts, visiting downtown Berlin is sure to be an exciting adventure. Plus, this is an incredibly charming town that does it up for the holidays. You can go on a carriage ride and even meet Santa in the annual Christmas parade. Complete with an outdoor ice skating rink, a plethora of shops, museums, restaurants and entertainment – shopping at the Inner Harbor can be a weekend adventure. Stay in one of the Harbor hotels and enjoy in-city shopping combined with all the entertainment you could ask for. Located on the Little Patuxent River, Savage Mill is a historic mill turned shopping destination. With more than 175,000 square feet of shopping, you can find everything you need for the holidays. This picturesque town on the Eastern Shore is all lit up in December for a beautiful shopping experience. They have a special Christmas festival where you can have breakfast with Santa and more. When you go searching for the perfect gift, stop by A Wish Called Wanda where you will find something handmade and entirely unique. They also have a few chains if you want to pick up a sweater without going to a crowded mall. Next to Washington D.C., the National Harbor is alive at Christmastime. With a tree stretching to the sky, daily activities, and the annual ICE! event and display, you can stay, play, and shop ‘til you drop. ICE! is an indoor event full of incredible ice sculptures, some of which you can sled down. After a day of shopping, this is one way to relax! Shopping in Baltimore can yield some kitschy and unique gifts if you head to West 36th Street. Shenanigans Toy Shop is an excellent place to find puzzles, old-fashioned toys, and collectibles. Plus, you can see an amazing local light display on the 700 block of 34th street once it gets dark. Santa, holiday events and activities, plus unique local shops make downtown Cumberland an excellent place to visit during the holidays. You can head to the bookstore, grab a treat at the bakery and hunt for the perfect gift. Conveniently located, plenty of parking, and a large variety of stores make the Mall in Columbia an easy spot to finish your Christmas shopping. Santa will be there every day, you can catch a movie, dine at the food court, and find something for everyone from your grandma to your little nephew.